1. 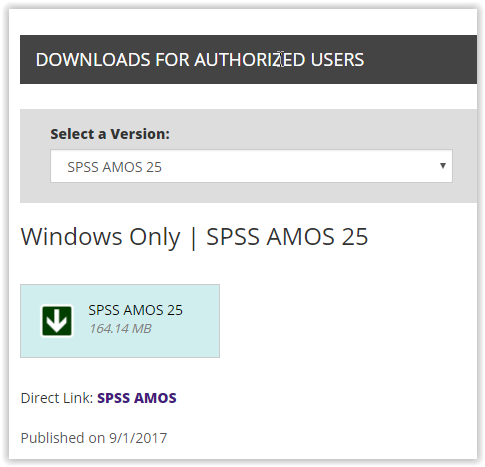 Download SPSS Amos 25 from TigerWare. Click the blue download box to do so. 2. 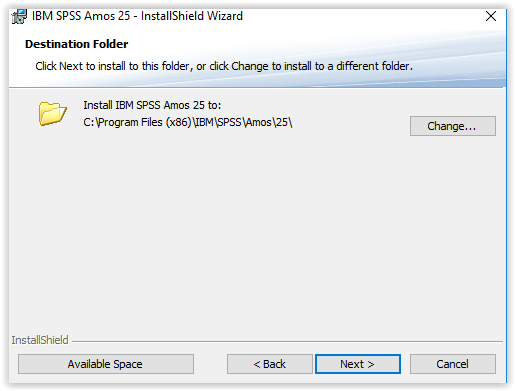 The SPSS Amos 25 InstallShield Wizard should open up. Click Next to continue to the next step of the wizard. 3. 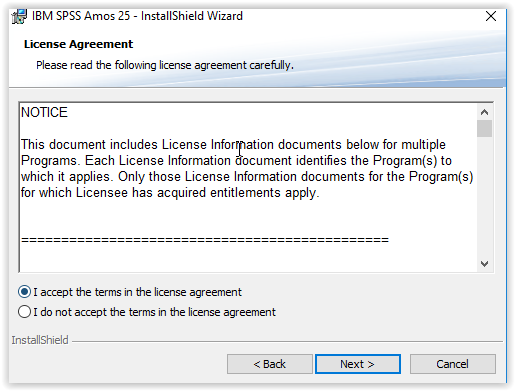 After clicking Next, the License Agreement will appear. Click "I accept the terms in the license agreement." Then click Next to continue to the next step. 4. The Destination Folder option will appear next. If the user wishes to change the destination folder, click Change. If not, click Next to continue to the next step. 5. 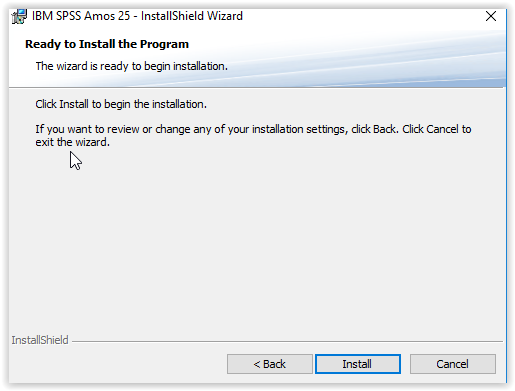 The Wizard is ready to install. Click Install. 7. 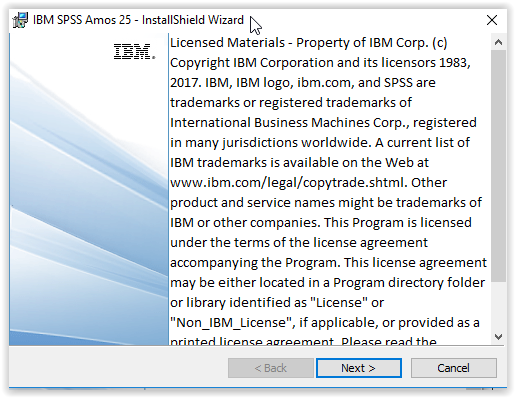 SPSS Amos 25 should open up if "Start IBM SPSS Amos 25 now" was checked.